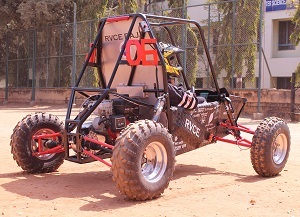 We are team from India and we would be participating in BAJA SAE INDIA 2017 competition.Our roll cage design is complete but we are not able to determine the suspension mounting points.Can someone help us with the same ? 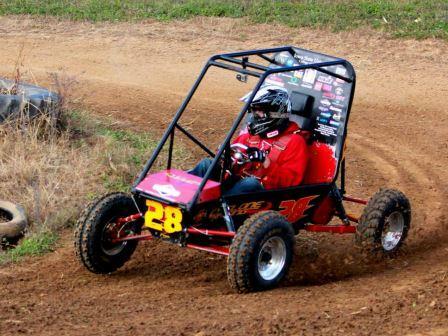 Your suspension points should dictate your roll cage... (within the limits of the rules). If you designed a roll cage with no idea where your suspension points should be you most likely will have a poorly designed suspension. We still have time to redesign our whole frame...so can you please suggest how to determine the suspension mounting points...and are there any calculations involved in this ? Search around the forums and take a look. You'll need to pick wheel sizes, suspension travels, steering geometry, and dampers before you can begin to design your suspension system (A-Arms, Trailing Arms, Knuckles, etc). There's a lot of design in this, whether analytic (math) or graphic (CAD drawings) that you can use to achieve geometry that meets your design goals. Also, be careful about designing your frame so far in advance! Rules change (sometimes). But not BAJA SAEINDIA 2017 rules!